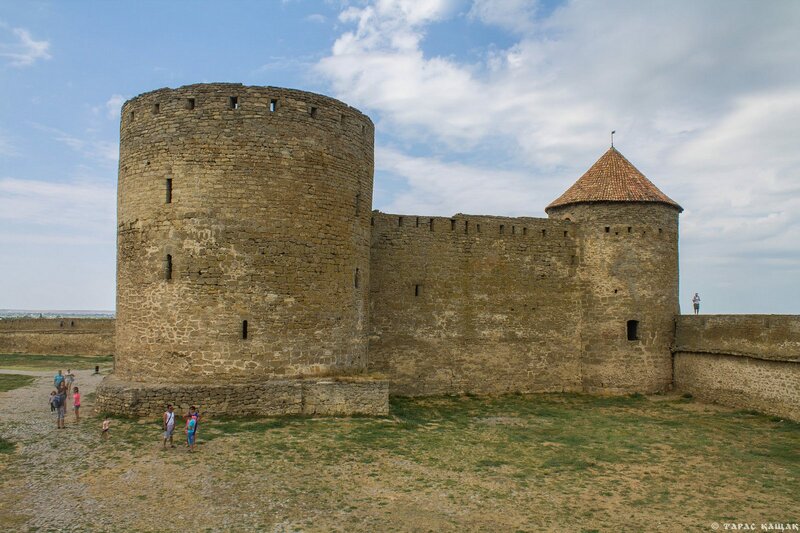 Medieval fortress in the town of Bilhorod-Dnistrovskyi is a monument of history and town-planning of the 13th-15th centuries, one of the best and the largest preserved fortresses on the territory of Ukraine. The total area of the fortress, standing on the rocky bank of the Dniester estuary, is 9 hectares, the length of the walls – 2.5 km. The fortress has the form of an irregular polygon. 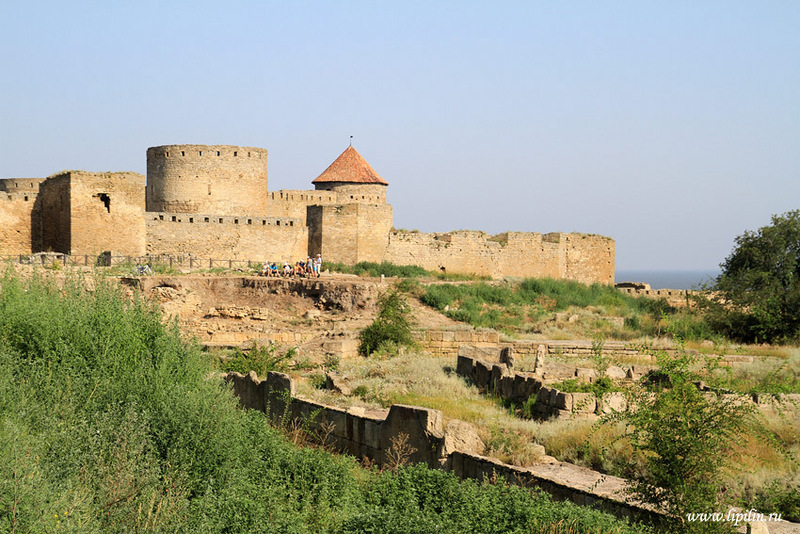 The fortress in Bilhorod-Dnistrovskyi (known as Akkerman fortress until 1944) is one of the best preserved in Ukraine monuments of history and defensive architecture of the 13th-15th centuries, the largest fortress in Eastern Europe. The total area of the fortress is about ​​9 hectares. It stands on the rocky shore of the Dniester estuary and has the form of an irregular polygon. Photos by: Taras Kashchak. 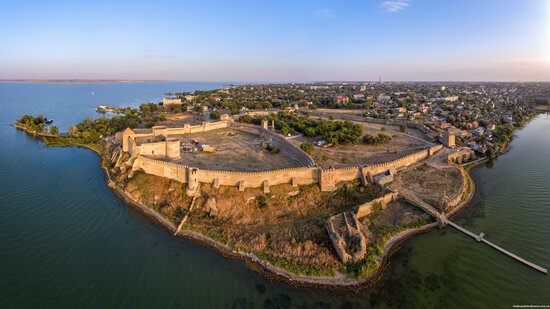 The fortress in Bilhorod-Dnistrovskyi city, known as Akkerman fortress until 1944, is a monument of history and urban planning of the 13th-15th centuries; one of the best preserved fortresses on the territory of Ukraine. It is the largest fortress in the country with the total area of about 9 hectares. 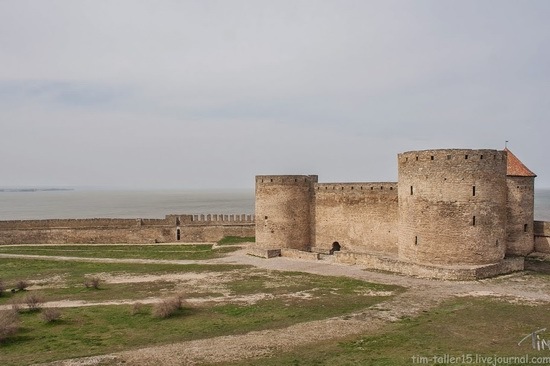 The fortress stands on the rocky shore of the Dniester estuary and has the form of an irregular polygon. All the buildings are surrounded by powerful fortress walls. The total length of the walls is 2.5 km. The photos were taken by Oleg Stukalov. Akkerman fortress located in Belgorod-Dnestrovskiy city (Odessa oblast) is a historic and architectural monument of the 13th-15th centuries. It is one of the most preserved fortresses on the territory of Ukraine. Also Akkerman fortress is the largest fortification in the country. All the buildings of the fortress are surrounded by fortress walls, the length of which reaches 2.5 km. The initial number of towers was 34, 12 of which were hollow, battle towers. The rest towers were bastions and half bastions. They were later turned into artillery platforms. Photos by Alexander Lipilin.